Product code: 192 Categories: Sold Items, Sold Jewellery. Wow! 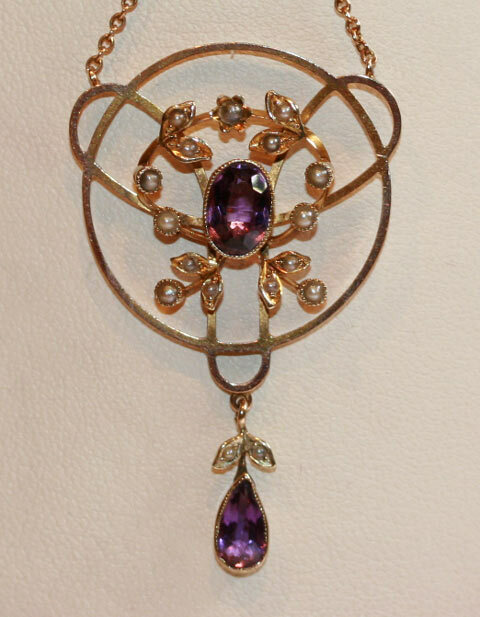 This is such a fabulous example of an antique pendant. 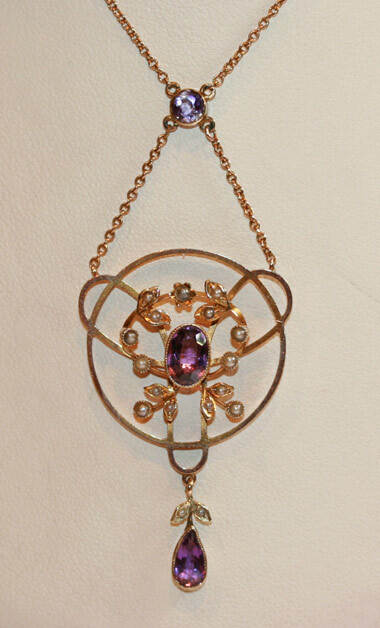 So simple yet stunning in its design, this 9ct pendant is set with natural amethyst and seed pearls, in such a great design. Dating from the early Edwardian era (circa 1900), this is a piece that can easily be worn during the day or for somewhere special at night. A design that has not dated one bit.